It is crucial to make sure that your car will be safe from damage or theft while it’s being transported in a carrier. Cars are not a small investment, so, try to find a reliable auto shipping company that is insured. If you have to move or purchased a new car in another city, make a to-do list when deciding for a vehicle transportation service. How do you determine whether or not a car carrier agency can be trusted? What if they are located at a great distance from you? Here are some tips to determine whether or not you have identified an auto transport service company to be trusted, or one to run away quickly. First, you get what you pay for. Be careful with extremely low prices because it may seem too good to be true. That is a good indicator to look somewhere else. When searching for the perfect auto transport service company, it’s advisable to pay a little extra to get a better company and service. If you get a destroyed automobile, you will regret what you paid, for saving a few dollars. Second, always look at the company name on the Better Business Bureau. The BBB monitors up close those firms that have deceiving business techniques. If the auto shipping company is registered with the BBB, feel pretty positive that they use honest business. Companies who have serious complaints ought to be avoided. Check the insurance plan available for the services. If an auto transport service company is not insured, do not consider their services. A simple phone call can determine this information quickly. Ask for an insurance confirmation before you make a deposit. Look at the arrival times, and where you will have to meet the driver to receive your vehicle. Be sure to ask about things like the container used to deliver the vehicle and how the motor vehicle will be protected effectively. 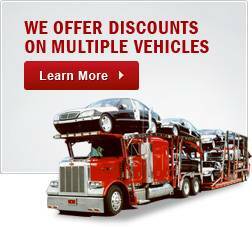 Get as many details before you pay up front for the auto transport services. 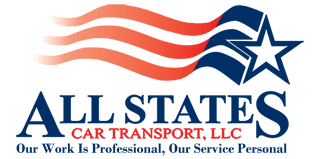 At All States Car Transport we make certain all chosen auto transport trailers exceed your expectations. Our network of carriers enables us to choose the best to deliver your vehicle when you need it. Place your reservation online or over the phone with one of our sale representatives. Call us today at 1-888-224-9917 or click here for any question or reserve a date. Relocate Safe with Auto Transport Services	Overall rating:	4.7	out of 5 based on 9	reviews.